 Welcome to the Central Location for all Lutherlyn's current downloadable brochures, registration forms. As these materials become available, they will be posted to this page for your use and convenience. The downloads are organized in categories in order for you to locate the form you need easily. All of the documents on this page are in .pdf format. 2019 Printable Summer Camp Registration FormWe prefer that registrations are completed using the online form (link above), but we understand that may not work for everyone. This printable form can be completed and mailed to Lutherlyn, PO Box 355, Prospect, PA 16052. Parent/Camper Handbook - 2019Everything you need to know about sending your child to camp! Camper Medication List 2019A separate Camper Medication List is only required for campers with medication(s). DO NOT RETURN CAMPER MEDICATION LISTS TO CAMP ** Please complete a Medication List for each camper and bring it with your camper on check-in day. Send your camper a message during their time at camp. NEW Day Camp Site Reservation PacketWe encourage you to share this invitation to host Day Camp with your congregation. A registration form can be found on the last page and includes the schedule of availability for this summer. As details for 2019's schedule of events are determined links and brochures will be made available below.